What do WE Expect from Government? Posted By:Unknown | At:1:09 PM Be the first to comment! 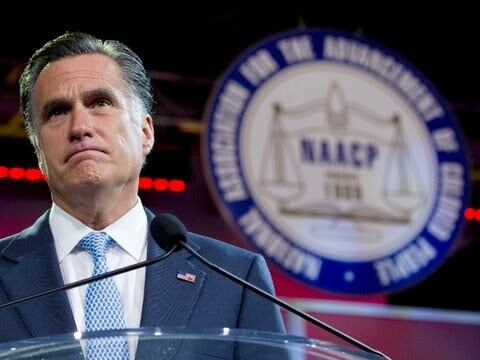 Mitt Romney’s comments about repealing Obamacare at the NAACP Convention were not well received as evidenced by the boos he received after making the statement. His response about the booing to donors at a fundraising pretty much was along the lines of “if you want free stuff, then vote for Obama.” Of course many will be insulted by his response and his supporters and base will feel like their beliefs are validated. Not surprisingly, one of the first comments I read from another commentary about the speech was along the same line, blacks are free loaders. I will not argue at length about how insulting those remarks are. Anyone with any sense of race relations in this country understands why such statements are offensive. What I will argue about is the fact that it is not free stuff. People who utilize government services are taxpayers. People solely think of INCOME taxes. We pay more than just income taxes. We pay more than just property taxes. Even if a person receives a full refund of federal income taxes does not mean they are freeloading. Unfortunately most of those receiving government assistance are solely consumers. Thus, they are buying goods and services and paying taxes all the while and simultaneously making the rich richer through purchasing their goods and services. Everyone from the wealthy to the poor contributes to our economy in some capacity and thus not freeloaders. Regarding the Affordable Care Act specifically, the lion share of those benefitting from the legislation, are paying for a portion of, if not all, of their healthcare costs. Yeah it’s not free. We know this because we do in fact pay for it, with our taxes and even more so after taxes. And quite frankly since we only make up 13.1% of population, we cannot possibly the primary beneficiary of government assistance. That is government assistance in all its forms from income subsidies to research to investment to business loans and everything in between. Small government, big government, no government… What do we want from our government? What do we actually expect? First as a point of clarification, most of this size/role of government debate is about the federal government. Personally, I think the argument of small government is bogus. Because what the federal government cannot authorize, state governments will gladly authorize. The feds cannot be omnipotent but the states can be all powerful. It may supposedly line up with the constitution but it does not square with the notion of small government. Government is government. Big government…I have not done any comparative analysis on this so I do not really know what constitutes big. The fact that our federal daily revenues are in the BILLIONS, I would say that our federal government is rather large. When I learned about the number of federal agencies we have, I was quite stunned at the large number. The White House generated a taxpayer receipt so each person can learn how much they contribute to the operation of these agencies. The effectiveness if these agencies are debatable. Likewise, the effectiveness of private sector and non-government organizations is debatable. I’m sure if every organization were evaluated, we would find that no group is fiscally managed perfectly. As of late, we see this fact played out in the private sector as well as government. But I digress. People will debate the value of these agencies. One may not find any value in Fish and Wildlife Services, but it will come to fore when the private sector creates disasters such as the Gulf Oil Spill. I could go on and on, but I won’t. My point is most of these organizations were not created out of thin air without purpose. No government…this idea isn’t even worth writing a whole paragraph to me. There are too many examples both domestically and internationally as to what happens with no governing structure and intervention. So we do was a black people expect from our government? In one word, I would say we want fairness. Collectively, we are not lazy. We are not opposed to working hard. We are not opposed to being self-reliant. There is nothing in our genetic makeup or our socialization that says we are to be freeloaders. Even through all of our suffering at the hand of oppressors, our expectation is very honorable. We want fairness. Paraphrasing Abraham Lincoln, government should be able to do what individuals cannot. Individually we have not been able to level the playing field, so we solicit the intervention of government no matter the size.